SOIL Haiti | Sunscreen or Rubber Boots? SOIL Has a Weather Station! Sunscreen or Rubber Boots? SOIL Has a Weather Station! Last month we started collecting meteorological data at our composting site in northern Haiti. Currently, very few weather records are available in Haiti, and only a handful of stations publicly share the data they collect. With help from Becca Ryals and Gavin McNicol, our research partners from the University of Hawai’i at Mānoa, we built a brand new weather station at our northern compost site that offers a new, publicly-available source of continuous, local weather information! 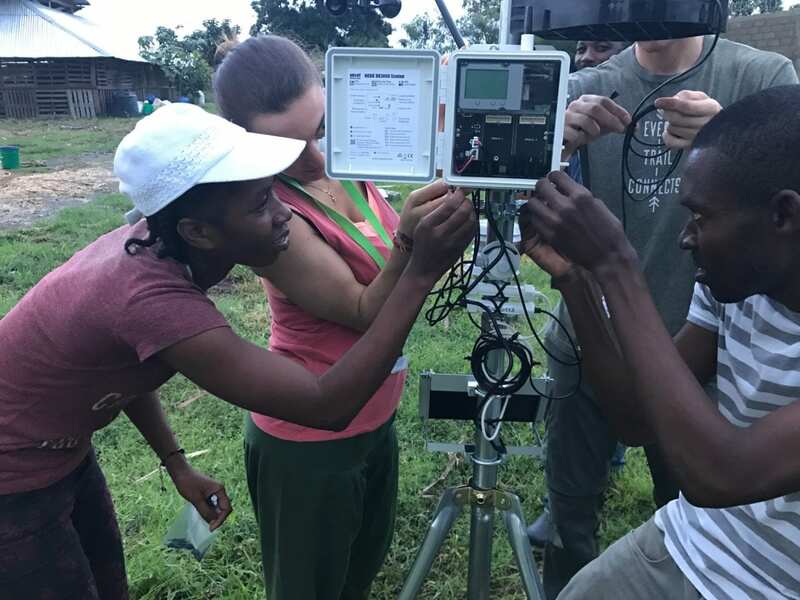 In fact, we set up the weather station just days after a tropical storm dumped massive amounts of rain on northern Haiti, flooding many people out of their homes, including some SOIL employees. Despite the muddy, soggy soils on the ground at the composting site, the SOIL team worked together in the showery aftermath of the storm to erect the station in a great display of team spirit and motivation for this exciting new project. 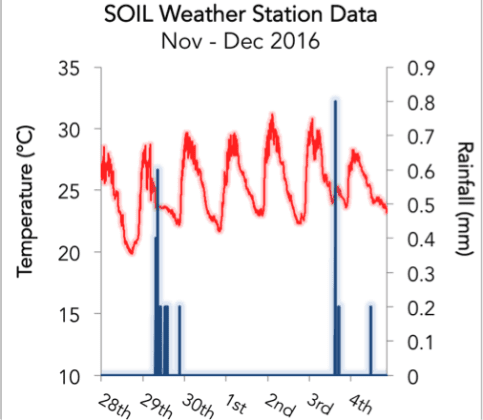 The station started recording real-time observations of air temperature, wind speed, and rainfall on Nov 11th, and since then has been continuously sending us data. The SOIL’s station is connected wirelessly to the ‘Internet-of-Things’, and uploads the latest weather conditions automatically every 4 hours. You can view the latest data here. Our motivation for this project is to better understand and improve the science of composting in the tropics, which is impacted by changes in the biophysical environment like rainfall, temperature, and pressure. Looking farther ahead, we hope that the station can provide a valuable record of local conditions, including capturing extreme events like the intense November rainstorms, and give us new insight into the influence of global climate change on Haitian weather. No Replies to "Sunscreen or Rubber Boots? SOIL Has a Weather Station!"